Instagram has blown up in the last two years and its rapid growth shows no sign of slowing down. In 2015, Instagram boasted a 47% increase in active users, compared to a 7% increase for Twitter and a 9% decrease for Facebook. Studies predict a nearly 37% increase in US Instagram users alone by 2018. Due to explosive growth in active Instagram users, more and more marketers are turning to Instagram to reach to their potential customers. There are plenty of amazing features that marketers can use to grow their followers, such as live videos, archive posts, Instagram collections, Instagram Stores, ads, etc. One of the most awesome tools that marketers can use to boost their follower base is by making use of Instagram contests. What is an Instagram Contest? 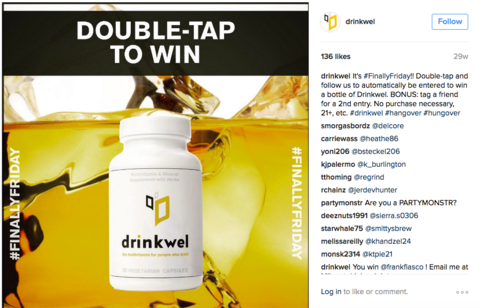 However, marketers must know the process on how to run Instagram contests. We’re here to help. In the upcoming sections, we’ll talk about Instagram contest ideas to boost your follower count. 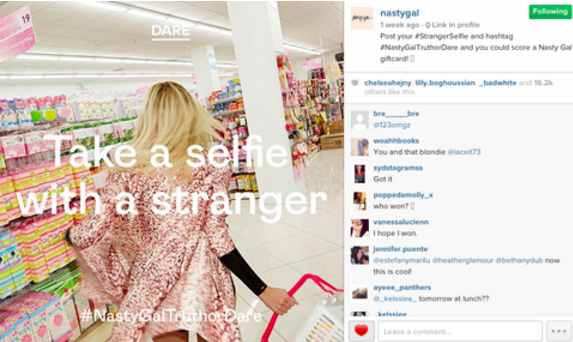 Instagram provides a simple, universally acclaimed marketing opportunity: the Instagram Contest. Everyone from Starbucks to Habitat for Humanity is getting in on the game. You can use these contests as a creative way to increase brand awareness and grow your community. Remember to ask your followers to tag a friend! Getting your followers to tag their friends is always a great way to increase your follower count and Instagram contest participation. Below are five Instagram contest ideas for increasing your follower count. Overview: Simply post a picture of your choosing. Whoever likes it and follows you is entered into a drawing to win a prize. More posts equal more chances to win! Evaluation: The “Like-To-Win” contest is popular among Instagram marketers because it’s so easy to run. It takes almost no planning, you can run it weekly, and earn lots of followers. It’s easy to enter – almost nothing is required of the participants – and followers will come back to your feed again and again if you run contests on a periodic basis. The more you post, the more followers will see their chances to win go up! There are likely better options for generating lasting engagement like user generated content contests (see number 3 below) but for a quick simple contest, this is a great place to start. Overview: Similar to the Like-To-Win contest, except instead of liking one of your photos, participants have to give you their email addresses. Evaluation: The Email-Gated contest has the potential to generate a huge amount of new leads, as you’ll likely earn a number of new email addresses for the effort. Due to the barrier to entry, Email-Gated contests tend to have lower entry rates then “Like-To-Win” contests. With the right prize or incentive you should be able to make up for the lower entrants with high quality leads that will build up your email database. Overview: In a UGC Photo Contest, you create a hashtag, for example #SummerUGC2016, and users submit a photo to the competition by posting pictures on Instagram and using your specific hashtag. Evaluation: Remember when we mentioned “better options?” We’ve arrived at the good stuff. You can use an app like Wishpond to keep track of submissions, and you can announce and promote your winner on your website, Instagram and other social account after the contest has ended. User Generated Content is really what we strive for as social marketers, as the act of creating a photo and using your hashtag deepens users’ relationships with your brand. As for the contest itself, there are plenty of options. You can ask for a photo with a company product, or ask for a type of photo that aligns with your brand image (i.e. on the beach). You can pick the winner yourself, or ask the users to vote on the winner, which creates yet another level of user involvement. Overview: You ask users to create something that will actually be used in your stores – i.e. artwork of some kind for cups, boxes, etc. Evaluation: Starbucks made waves with their innovative White Cup Contest, in which they invited Instagram users to decorate one of their traditional white cups and post their creations on Instagram. The winner became the actual design on Starbucks cups. Runners-up can receive a high-value gift card as their reward. This type of contest creates unparalleled brand loyalty, as contestants devote legitimate time and energy to their submissions. Furthermore, the fact that the company is willing to roll out product based on a submission from their “fans” earns them extra loyalty. These contests generally require some creativity – whether it be designing a cup or inventing a slogan – which can create a barrier of entry for some users. Overview: You hide something somewhere in a city, and post on Instagram with a landmark and a clue. The first person to find the item posts on Instagram. Evaluation: Tony Hawk made waves for pioneering this type of contest, providing signed skateboards to whoever found what he had hidden first. This type of off-the-wall contest is challenging for a lot of people, but for locally based businesses it’s a great option as it strengthens local connections by demonstrating that you really are a part of the community as you really know your city. 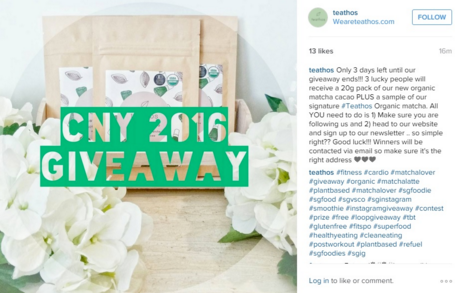 Instagram contests are a fun and easy way to generate brand awareness and to grow your follower count. Take advantage of contests today to grow your followers and engagement! Remember to check out Pollen on the Shopify App Store to set up prospecting and retargeting ads with ease. Our machine learning technology does all the heavy lifting while you can sit back and watch the sales roll in. Like always, if you need any help or have any questions, send us a note or click the live chat button on the bottom of this page to talk to us directly. We’d be happy to help. Thanks for reading! Youre so cool! I dont suppose Ive read anything like this before. So good to seek out any person with some authentic thoughts on this subject. realy thanks for beginning this up. this web site is something that’s wanted on the internet, somebody with a little originality. useful job for bringing one thing new to the web!